With the age of remote clinical trials upon us, it bears asking: What do these trials mean for the common business-related tasks of clinical trials? One under-emphasized place of change will likely be investigator site budgets. Sponsors and CROs alike have begun to think about the internal adjustments, costs, and mindset shifts that will be required for remote clinical trials. However, much of the mentality shift and preparation for these trials will also need to happen for the investigator sites looking to participate — especially from the perspective of the site budget costs. In addition to the patient-centricity aspect and competitive advantages, like efficiency and speed, that remote clinical trials present to sponsors, there is also a potential and very attractive cost savings component attached. The potential cost savings associated with reducing patient travel to study sites and increasing automated data collection directly from patients are indeed necessary in reducing overall R&D costs, but they also will have a direct impact on the investigator site side of the clinical research industry.1 Investigator sites traditionally have relied on certain common costs to be covered by sponsors to remain financially viable and profitable for further research. Although this concept likely will not, and should not, go away with remote trials, the actual costs being covered by sponsors will likely change due to the different requirements and trial design. It is important for investigator sites to reflect on how remote trials differ from a financial perspective to appropriately prepare as a vital partner. The following are some of the investigator site budget costs that may look different for remote clinical trials. With the elimination or at least significant decrease of traditional onsite patient visits, associated site facility costs that are currently covered by many sponsors may look quite different in remote trial site budgets. This type of cost, along with some others, may still be present for hybrid model trials, which involve a mixture of onsite and remote visits done via telemedicine.3 However, for a completely remote trial, patient visits will be conducted utilizing more digital means, which may decrease the need for sponsors to cover site facility costs and overall associated staff costs of onsite visits. As remote clinical trials look to utilize more of a patient-centric approach, the investigational study drug or device may no longer be stored locally at the investigator site but instead may be shipped directly to the patient. The investigator site may still play a coordinating role in getting the drug or device to the patient for confidentiality reasons, but it would not likely have the responsibilities of storing and dispensing the study drug. This in turn may reduce the associated costs for these activities, which traditionally have been paid by sponsors and budgeted by investigator sites. 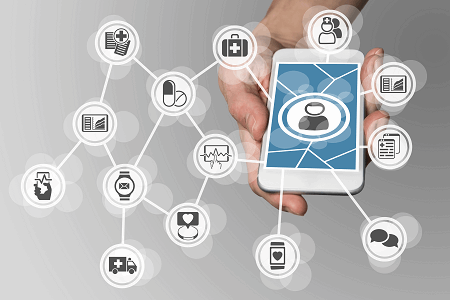 Remote trials aim to utilize digital methods such as social networks, patient matching tools, and dedicated disease social networks to reach patients directly for pre-screening and recruitment efforts. Traditional site advertising and site pre-screening costs may be decreased or eliminated via these types of trials (Alsumidaie, 2017). Patient lab work that is traditionally performed at the investigator site during visits may be performed via other methods or in facilities closer to the patient’s home. This reduces the burden on the site staff to perform lab work and shipping of samples and also might mean a reduction in associated site budget costs. While sites traditionally have executed the clinical trial protocol mostly onsite and directly with the patient, for remote trials the selected site will likely play more of a coordinating role. Some of these tasks would be assuring remote procedures are scheduled for patients, lab work is scheduled in a facility close to the patient’s home, and investigational drugs are shipped to the patient’s house. These may be costs that have not traditionally been included in investigator site budgets but may require further discussion for remote trials. Although the inconvenience of patient travel to the investigator site may be reduced or eliminated, the intangible inconveniences of participating in a clinical trial may still be present. This will require further industry discussion on how the differences of remote clinical trials will be reflected for future patient stipends. The full picture of how remote clinical trials will impact the current industry standards and practices still remains to be seen. This discussion is only in its infancy and will require the engagement and ingenuity of the various stakeholders. All parties involved in executing remote clinical trials will need to appropriately plan and prepare for this major and exciting shift in the industry in order to provide the most value and remain relevant in the clinical trials of the digital age. Débora S. Araujo has more than 11 years of experience within clinical trial operations with a special focus in the business operations aspects of clinical trials, including clinical financial management, contracting, and outsourcing. Her previous roles include both large and mid-size pharmaceutical sponsors, as well as the investigative site side of clinical trials. Working within organizations such as Novartis Pharmaceuticals, Eisai, Inc., and Merck & Co., among others, has given Débora unique insight into the systemic blind spots sponsors have within the clinical business operations of trials. In her current role as head of the U.S. Site Budgets and Payments group within Boehringer Ingelheim, Débora is responsible for providing leadership and strategic direction utilizing a strong customer-focused approach. The views expressed in this article are not necessarily those of Boehringer Ingelheim Pharmaceuticals, Inc.